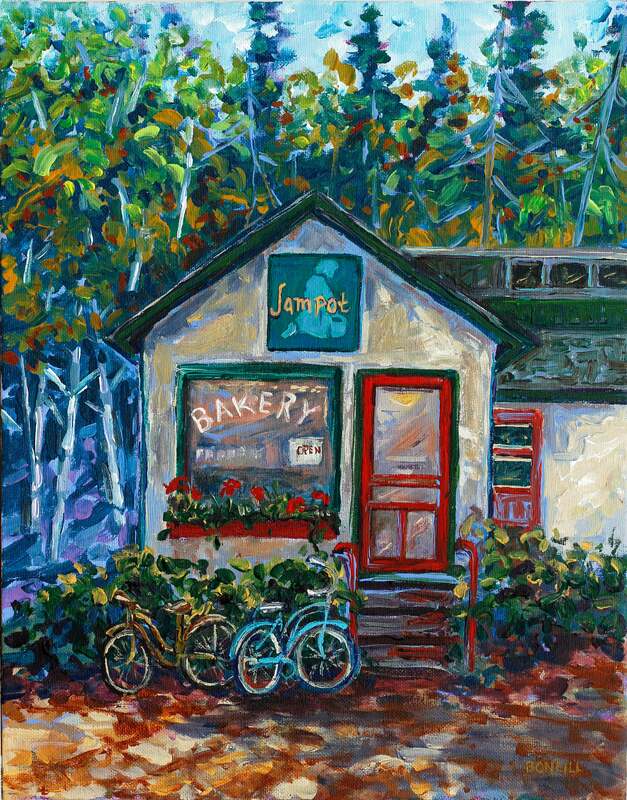 "Jampot Bakery" in Eagle Harbor, Upper Michigan. Next to a beautiful waterfall and across the street from Lake Superior, the Jampot Bakery is run by a group of friendly Monks! Working with their hands and gathering local berries, these men bake everything from breads and cakes to jellies and jams! A memorable stop when exploring the Keweenaw Penninsula of upper Michigan!